There is no question that large commercial trucks are essential to our economy. Moving freight, delivering packages, transporting cars and a variety of other functions in life would certainly be much more difficult without large trucks, including semi tractor-trailers. 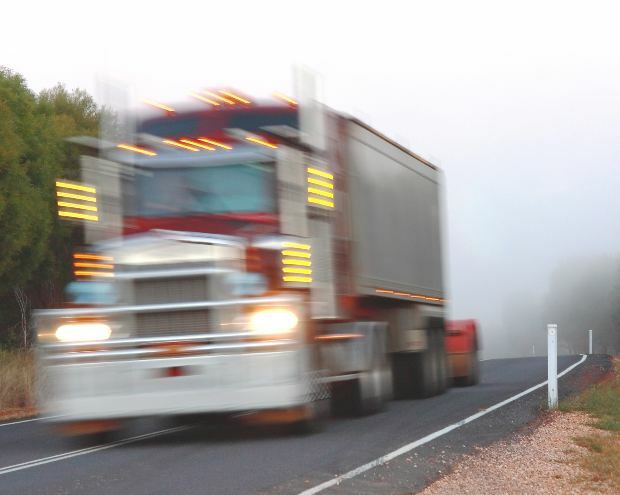 While most truck drivers are safe professionals, there are some who aren’t, and when a truck crashes or collides with another vehicle or pedestrian, it can result in serious personal injury or death. In order to prevent serious personal injury and death involving truck crashes, the National Highway Traffic Safety Administration (NHTSA) performs a variety of studies and comes up with regulations to make trucks safer. For example, when you are driving on the highway, and a tractor-trailer is in front of you, you will notice a horizontal bar with red and white reflective tape below the license plate on the trailer. As our Boston truck accident lawyers can explain, this is an under ride guard designed to prevent cars from driving under the truck in the event of a rear end collision. If a car were to drive under the truck, the car would suffer tremendous damage when it hits the truck wheels and when the lower edge of the trailer collides with the car’s front windshield. There is another piece of safety equipment you may have started noticing on trucks around the city, known as a side guard or side under ride guard, and they are designed to prevent bicycle riders from being caught under trucks in the event of a truck/bicycle collision. While these devices are not yet required on a national level, NHTSA has conducted extensive safety testing and has recommended all straight trucks and trailers of tractors-trailer rigs be equipped with a side guard. The side guards can be made of a series of steel bars or a steel plate welded onto the truck or trailer frame. The guards are normally painted reflective yellow and black and often have a picture of a bicycle on the side. While NHTSA believes in the effectiveness of the side guards and has made the recommendations, their use is not mandatory as of this time. However, according to a recent news article from Fair Warnings, Boston and several other cities are requiring the guards be used on all official vehicles. While they would like to require the guards for all vehicles, it is difficult for a local government to make a more restrictive requirement for commercial motor vehicles based upon the Supremacy Clause of the Constitution and Congress’s power to regulate the flow of interstate commerce. With respect to the guards themselves, they are designed to stem the increased number of fatal bicycle accidents involving trucks. There are a variety of reasons for the increase in bicycle fatalities, but the primary reason is that more people than ever before are riding bicycles. In about 50 percent of all fatal bike and truck accidents and around 25 percent of truck and pedestrian accidents, the victim made first contact with the side of a truck. The reason for contact is usually due to the truck making a turn or a car door opening and pushing the rider into the side of another truck. Once the rider or pedestrian hits the side of a truck, they can easily become trapped under the truck’s rear wheels and killed.